As companies look for ways to cut costs, they sometimes replace offices for individual employees with cubicles. And while the cost savings can be substantial, the move from an office to a cubicle sometimes has adverse effects on employees and their performance. The first adjustment that comes from moving from an office to a cubicle has to do with space. Workers moving into cubicles have to get used to having less room to work in, as their computer and other peripherals will take up most of the space. Cubicles offer less storage space. There is no room for large filing cabinets that offices can accommodate. In addition, the ability to move about is limited. Cubicles typically have just enough room for a person to pull their desk chair up to their desk. All of these issues can wreak havoc on the psyche because of the mental and physical adjustment that comes from having to work in a more confined area. When moving from an office to a cubicle, workers give up much of their privacy. Co-workers can overhear conversations and see into the workspace. The lack of privacy can hinder workers who have become accustomed to working in private settings. Working in a private office also provides a certain level of autonomy, and losing that may take some time to get used to. 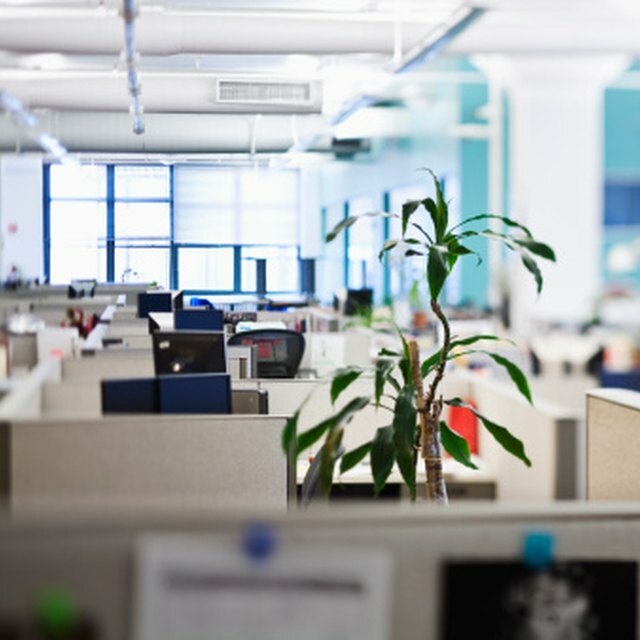 Workers who move from a private office must get used to the many distractions that come with working in a cubicle in an open space environment. Employees unaccustomed to the constant chatter and activity of working in this kind of setting may have a decrease in their work productivity. Companies typically reserve offices for upper management, and they leave the cube space for those who are lower on the totem pole. Therefore, movement from an office to a cubicle often signals a demotion. In such cases, the move to a cubicle can aggravate the emotional distress associated with the demotion. This in turn can affect the worker's productivity. Cubicles allow workers to interact more, which can have pros and cons. One potential benefit is that employees will work more as team players. According to an article published in the Gallup Management Journal, employees who are part of a strong team tend to work together better to resolve conflicts. The article, “What Strong Teams Have in Common,” notes that while employees may have different views, they are united in their focus on results. However, the increased interaction among co-workers can slow productivity if employees spend more time lollygagging around instead of working. Employees who work within earshot of each other are more likely to engage in conversations unrelated to work.